Where Travel Sourcing Innovators Connect and Inspire What is ProcureCon Travel? An interactive, peer-led event created by and for senior travel sourcing leaders. For almost 20 years, the ProcureCon conferences have helped companies like yours transform their programs through innovative workshops and intimate networking sessions - designed to take you beyond cost savings. 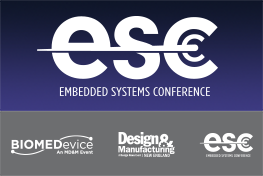 3 Leading Shows on 1 Expo Floor Explore the latest medtech trends and technologies at BIOMEDevice Boston, featuring two additional expos — Design & Manufacturing New England and Embedded Systems Conference (ESC) Boston. 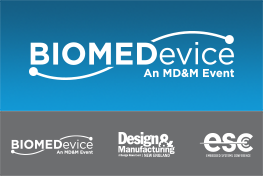 Don't miss New England's largest medical technology event, featuring the most extensive showcase of medtech, design engineering, and embedded systems products from top companies, all on one floor. 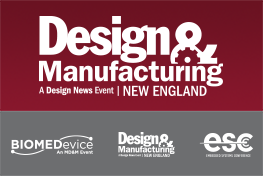 Unmatched Networking, Product Sourcing, and Education See the latest tech advancements and find inspiration to tackle your toughest project challenges across the design engineering spectrum at New England's premier industry showcase. Now is your chance to double your professional contact list, consult with suppliers from industry giants, and increase your knowledge at learning sessions — all free for qualified registrants.